Ingelix™ specializes in a proprietary, patent-pending hiring process, that permits the Ohio Health Care Association (OHCA) members the ability to identify top performing job applicants utilizing a cloud based algorithm-hiring technology platform (SmartSystem). Ingelix™ is pioneering an algorithm based machine-learning concept in healthcare that will monitor the ever-changing behavioral culture to ensure the perfect balance of staffing necessary to reduce turnover while increasing performance. In 2016 Ingelix™ was selected as the preferred vendor for OHCA for employee hiring and retention solutions. To further assist the OHCA member companies Ingelix™ is launching a workplace environment study to compare specific applicant/employee attributes and how they differ across geographic areas. 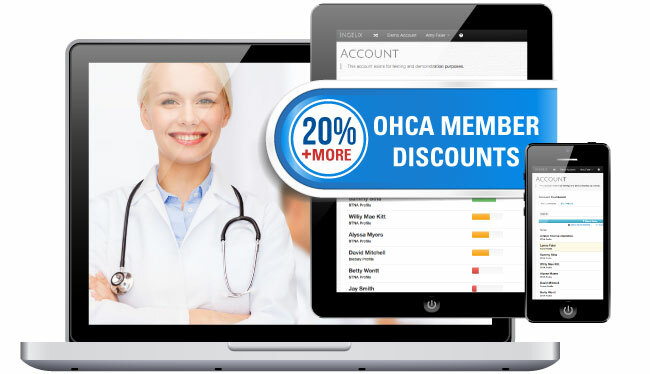 The overall purpose of the research is to determine the best possible job candidate for OHCA members based on the location of any given facility and what type of labor force is available. Ingelix™ will be securing a minimum of five (5), with a target of ten (10), long-term care providers with operations within the State of Ohio. Any facilities outside of Ohio will be evaluated as well. For validation purposes companies must meet the following criteria. 1. Cannot be current customers of Ingelix™. 3. Groups employing at least 500 total employees are preferred. Multiple locations is a plus but not required. 4. The total participating companies need to be geographically dispersed throughout Ohio using a quadrant model with Columbus the center (NW, NE, SW, SE). Individual participants are not required to have operations in all four areas. 5. Companies must agree to permit Ingelix™ to study all job applicants and hires. No involvement is necessary from participating companies aside from granting permission for the study. 6. Companies must agree to remain engaged for 18 months. 1. Ingelix™ will be extending an additional discount of up to 50% above the already normal discount offered to OHCA member companies of 20%. 2. Upon the conclusion of the 18 month study participating companies will be offered a long-term discount for their involvement above the normal discount offered to OHCA member companies of 20%. 3. Study results will be provided to each company regarding their workplace environment.